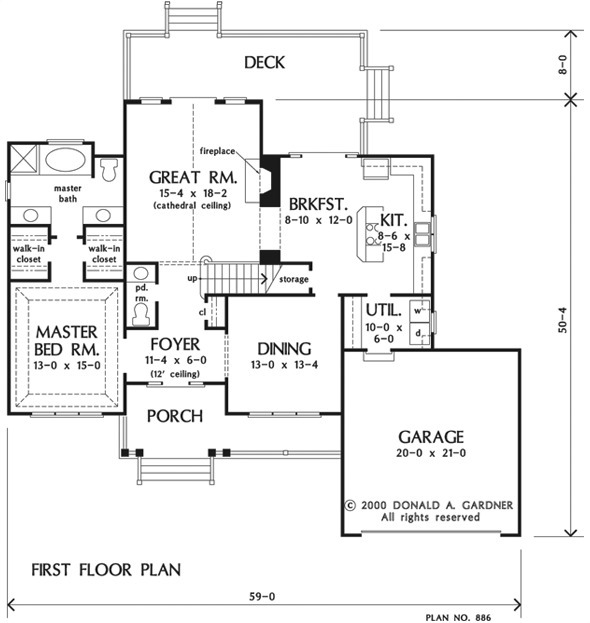 Cozy and economical, this floor plan welcomes everyone with a front porch and stylish gables. A cathedral ceiling adds distinction to the great room, and a kitchen island adds functionality and space, creating a free flow through the common areas of the house. For future expansion, there's a bonus room. 1st Floor: 1471 Sq. Ft. 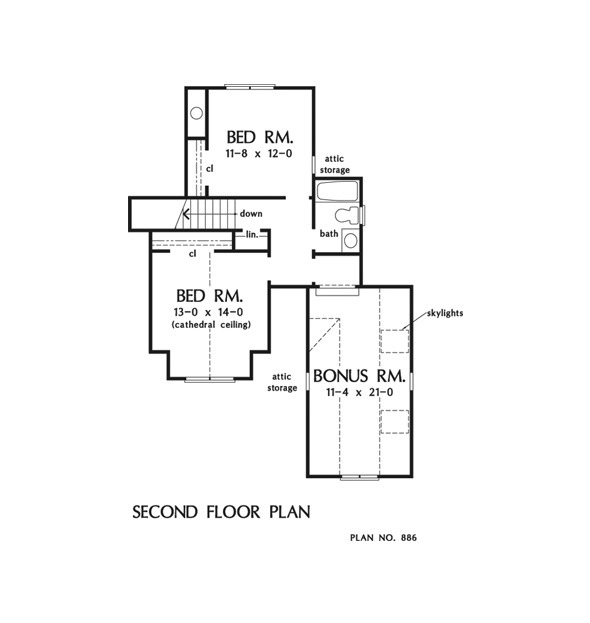 Bonus Room: 277 Sq. Ft.
House Dimensions: 59' 0" x 50' 4"
Great Room: 15' 4" x 18' 2"
Foyer : 11' 4" x 6' 0" x 12' 0"
Great Room (Cathedral): 15' 4" x 18' 2" x 17' 8"
Kitchen : 8' 6" x 15' 8" x 9' 0"
Breakfast Room : 8' 10" x 12' 0" x 9' 0"
Bonus Room (Vaulted): 11' 4" x 21' 0" x 8' 6"
Garage : 20' 0" x 21' 0" x 0' 0"
Master Bedroom (Tray): 13' 0" x 15' 0" x 10' 5"
Bedroom #2 (Cathedral): 13' 0" x 14' 0" x 15' 0"
Bedroom #3 : 11' 8" x 12' 0" x 8' 0"
Porch - Front : 25' 6" x 5' 0" x 0' 0"
Deck / Patio : 28' 0" x 8' 0" x 0' 0"
Storage (Other) : 9' 2" x 3' 4" x 0' 0"